Epigenetic aberrations, as opposed to DNA mutations themselves, might play a more important role in the progression of many malignancies. Epigenetic aberrations might be a more important factor in the progression of many malignancies — including cervical, colorectal, prostate, and oropharyngeal cancers — than are DNA mutations, Dr Lorincz said. Dr Lorincz was also involved in the development of the HPV test in 1988. 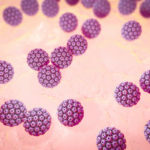 That test is more accurate than traditional Pap test analysis — but it only confirms whether or not a woman has been infected with a high-risk strain of HPV. 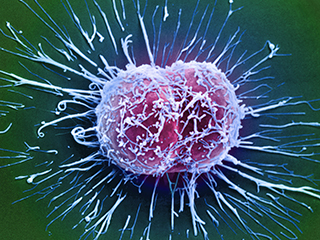 The new test detects epigenetic changes to cervical cells indicative of tumorigenesis. The HPV FOCAL trial screened Canadian women aged 25 years to 65 years. The epigenetic test detected early-stage cervical cancers years before they would have become symptomatic, including adenocarcinomas, which have proved to be difficult to detect using other screening tests, Dr Lorincz said. Queen Mary University of London. New cervical cancer test has 100 percent detection rate [press release]. https://www.qmul.ac.uk/media/news/2018/smd/new-cervical-cancer-test-has-100-per-cent-detection-rate.html. Published December 14, 2018. Accessed January 4, 2019.